This restaurant cliams they use only RO filtered water and no MSG. 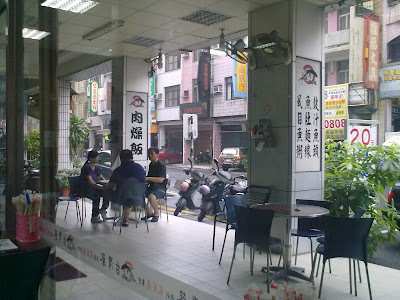 Their menu is loaded with traditional Taiwanese dishes. Consult a staff for daily veggies. 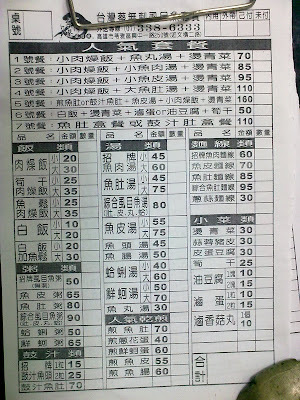 Compared with Old Cai's, this place has lighter taste; compared with Ah De, the fish belly congee is about US$1 pricier. 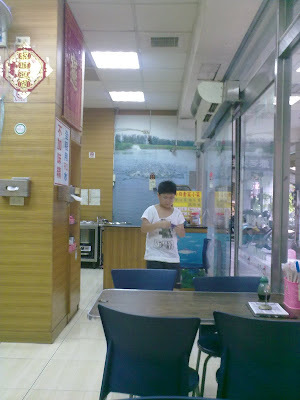 The dish I sampled here was House Milk Fish Congee (Zhaopaishimuyuzhou). Crispy on the outside and juicy in the inside. Perfect. The hostess is quite honest. 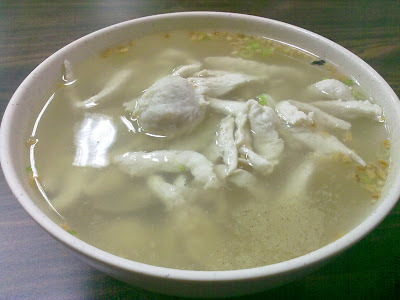 Once I ordered clam broth. 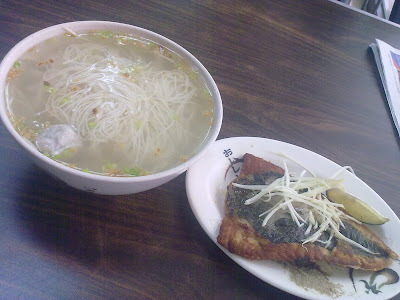 She advised me to take oyster broth instead, as the clam was tiny that day. 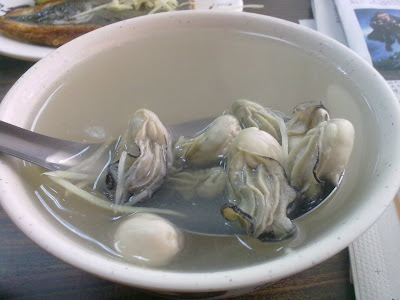 Taiwanese oysters are all small. 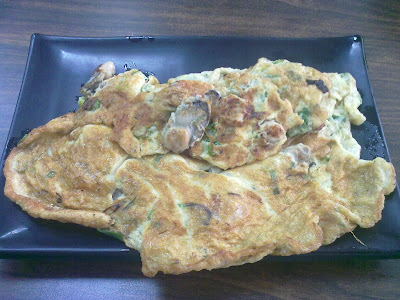 The ones shown in the picture are considered huge.